Where do we display our smaller heritage items or memory collection? In our bedroom of course. Isn’t that where everyone keeps their memories? I have managed to retain and preserve at least one small item from each of my great-grandmothers and others that I love. 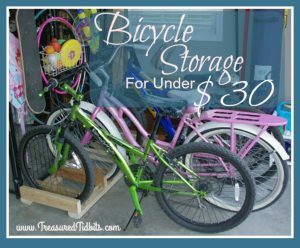 I am not one to believe you must have an item to have a memory, but I am a very visual person and enjoy the warm, cozy feeling seeing them brings to me. 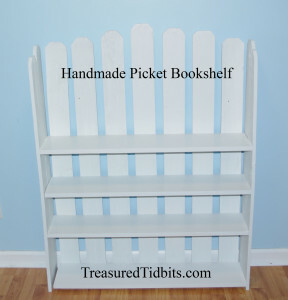 I wanted share a bit about the items I have chosen to keep and how we display them. Most are displayed in our master bedroom, as our “open” plan living area with wall to wall windows allows for very few display items. Each bookcase in our master features two memory/heritage shelves. The shelf on the left features our wedding memorabilia including my bouquet, our boutonnieres, the flower basket, ring pillow, candle quote (the candle melted) and a few petals from the flower basket. 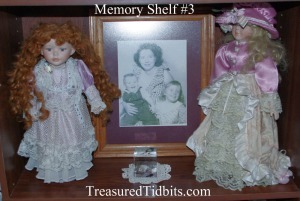 The lower memory shelf on this side features a multitude of items from both our childhoods as well as unique, inherited hand created items from my paternal great-grandmothers. 1. 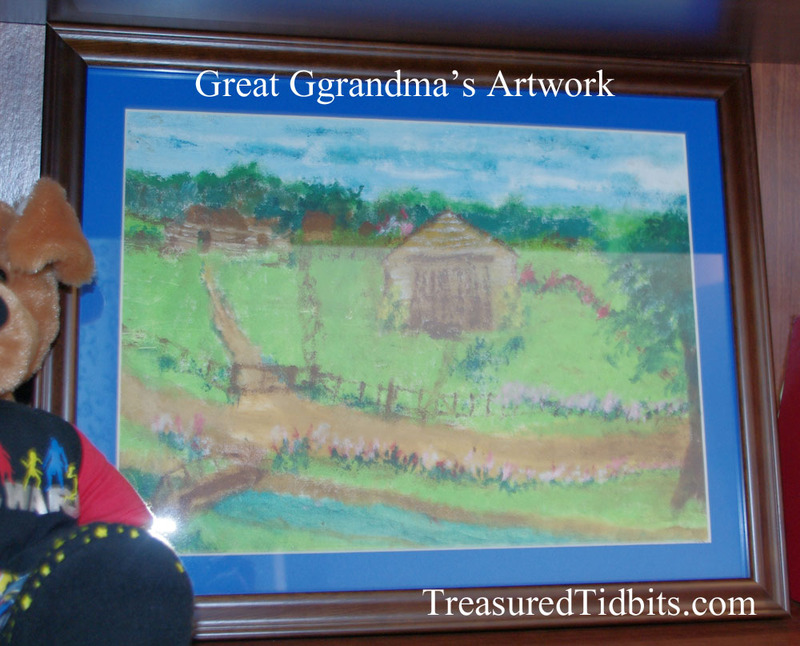 The framed picture was rolled and in storage for over 25 years before I finally invested in a frame and mat and chose to display the artwork. This was a major undertaking as I wanted to display it perfectly. I know she won several prizes and my family has sold or lost many of her drawings, so this may very well be the only one still in our family and I make sure to treat it as such. I enjoy drawing too and can remember sitting and watching her work when I was young. She always seemed to be able to draw anything that came to mind, just give her some colors and away she would go. 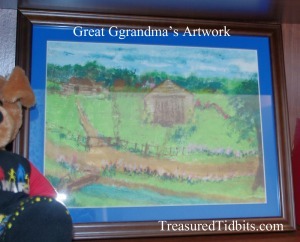 Even during her last years in the nursing home she continued to create beautiful works of art. Due to the separation of my parents as a pre-teen I wasn’t as close to her in my older childhood as I would like to have been, but I do have her memories and artwork to remind me of the love and kind words she always had. 2. This Build-A-Bear puppy was created by my children 4 years ago for their new step-daddy when he had to take an extended trip for training. We created it as a family and presented it to him as a gift. It contains a recording of the children saying “We love you Daddy” and plays on demand. 3. 6 & 7 Are all baby dolls from my childhood. They are all a bit scary looking and have some hair issues, but I think they look pretty good for being 40+ years old. Yep, I am showing my age here. 4. The Floppy Little Puppy is my husband’s childhood buddy. We used to keep him on our bed, but I have found that he is MUCH safer from our 4 cats if I keep him on the shelf. He is wearing my husband’s graduation tassel, another irresistible cat toy. 5. 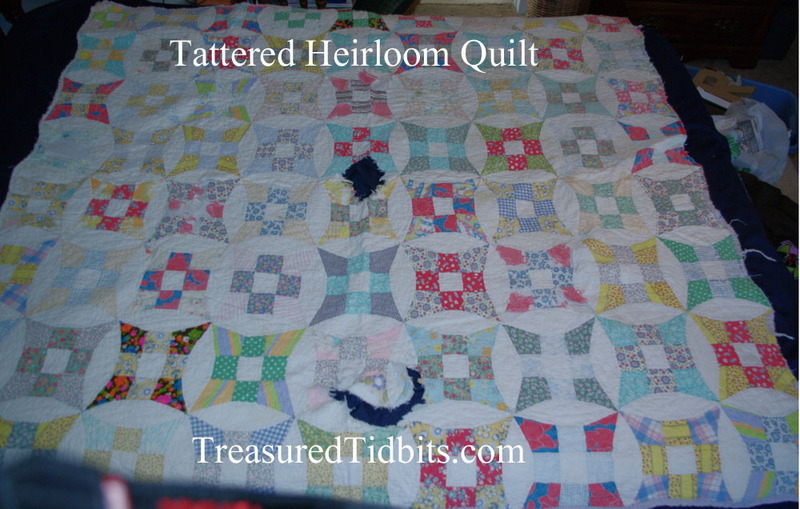 My handcrafted heirloom quilt. I believe this is the only quilt left in our family that was created by my other paternal grandmother. She passed before I was old enough to create memories, but I do have the stories and handmade quilt she gave my Mother and my Mother shared with me. Yes, the quilt was created by my paternal great grandmother but she gave it to my mother and my mother passed it to me. It is no longer fit to be used (as the above photo shows) but it makes a wonderful resting place for our “memory collection” and should remain safe and protected in our collection of “love”. The top shelf on my bookcase features 2 dolls and a childhood photo. 1. The doll on the left was a Christmas gift from my single Mom when I was a teenager. Mom worked hard and money never did grow on trees but she always took care of us, provided what we needed, took us to church and tried to give us some of the things we wanted, even if it meant cleaning houses in her free time just to pay the rent. This doll was in one of those catalogs that “only rich people buy from”, at least that’s what I thought back then. It was actually the kind of catalog that requires you host a party and earn points or pay big bucks. Anyway, I really, really wanted this expensive beautiful doll and her 3 tiny bears. My mama made sure “Goldilocks” and her bears became mine. After 25+ years I no longer have the tiny bear family, but I still have this precious doll and a wonderful mother (thankfully). When I see her I remember all the ups and downs our little 3 member family endured and the love that we shared and still do. Many dolls have come and gone over the years but this memory and doll will always remain in my heart. 2. The small puppies are small gifts from my children and an abbreviated version of another gift from my hard-working, hard lovin’ Mama. 28 Years ago we endured an even rougher time and during it I had this HUGE stuffed Shepherd dog, that shed EVERYWHERE. He has since been destroyed by my young children and tossed in the garbage, but when they discovered this miniature version of him they snatched it up and gave him to me. He doesn’t sleep on my bed like the larger version did but he does keep watch over me from the corner. 3. The photo is from a “Little Miss” pageant and reminds me of the days when life was a little more carefree, clothing was more reserved, kids were expected to be responsible and could remain innocent for years. 3. (Again) The Barbie is the newest addition to my collection and the most difficult story to share and probably why this is full of typos even though I have proofread it 8 times. 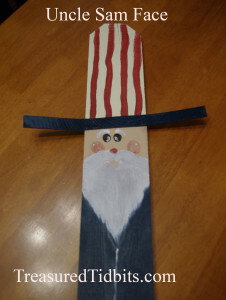 She, Western Barbie, was an ironic Christmas gift to my Grandfather when I turned 16. Why did I give my Grandfather a Barbie and why did he keep it for 25 years? Both of which he was not likely to get. Seeing how my grandma has black hair and he was a hardworking, God-fearing, blue-collar, family man who wasn’t known to play the lottery. So….. I decided I would get him his “Blonde and a million dollars”. For Christmas that year I bought him a Barbie and a lottery ticket. The lottery ticket didn’t win but the smile and jokes we made for years to come certainly did. My sis said he brought it up again the summer just before he was hospitalized in his final months. And if I know my Grandad, the love and laughs were worth more than the million dollars ever could have been. Obviously, I cant keep my Grandad with me forever but I can keep the stories of his limitless love, humor, faith and family alive for my children and grandchildren to see and hear about. What better way than to say “That was your great-great granddad’s Barbie.” and tell the stories of the giant with a heart of gold. 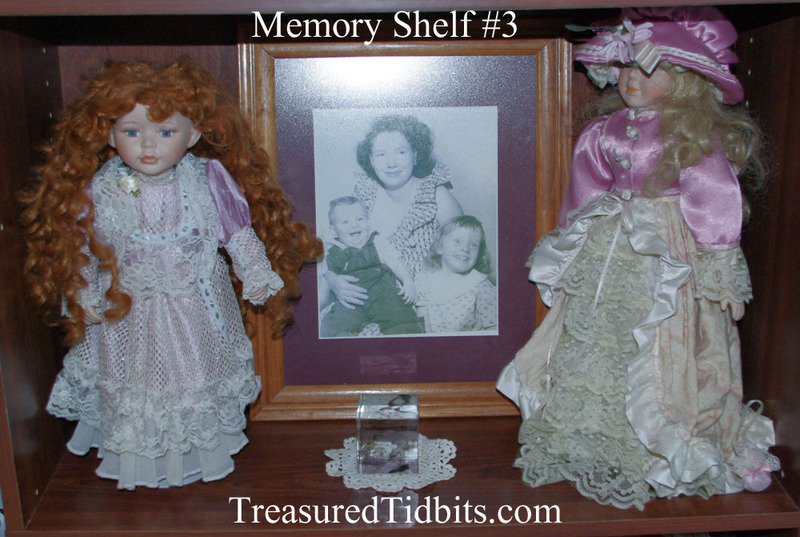 Farther down on the same bookcase you will find an older photo flanked by two more porcelain dolls. The photo features a young version of my Grandmother (the one mentioned above) and my mama and oldest uncle as small children. My grandmother is, thankfully, still with us and I have loads of memories with her as she and granddad (from above) babysat for me for years. One of her favorite stories is to remind us how her waist used to be tiny “19 inches or less” and she had to alter all her clothes. She will always be this 5 foot tall package of loving, cuddly, no-nonsense woman to me, but I love to hear her share the stories of her childhood, early marriage and motherhood. This photo helps me bring an image to mind as she tells of chasing cows, corralling pigs and changing diapers, not disposable and not mine. 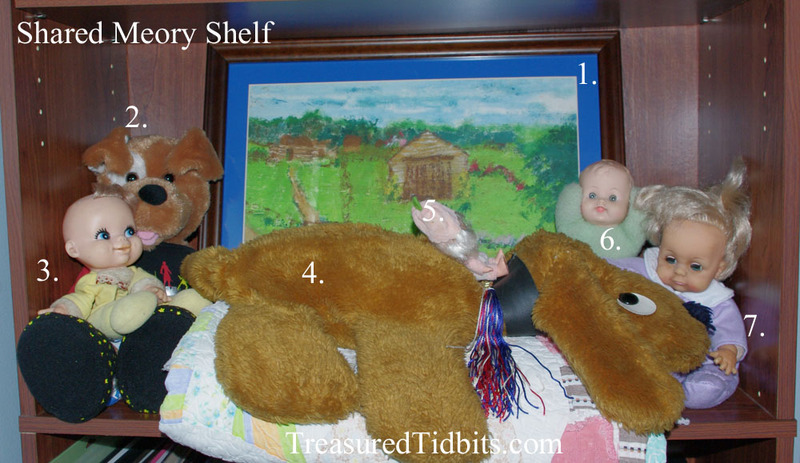 I have many other heritage/memory items around the house, but these are the items I feature on our bedroom shelves and chose to leave during the master bedroom makeover. We wouldn’t be who we are today without the memories of yesterday. Thank you for stopping by and sharing these special memories with me. I hope my life & yours are filled with many more. 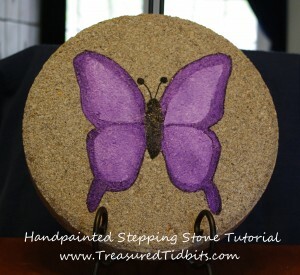 This post is linked up at Sharing Saturday. You can follow more of our journey on Instagram, Pinterest, Facebook and through weekly emails.